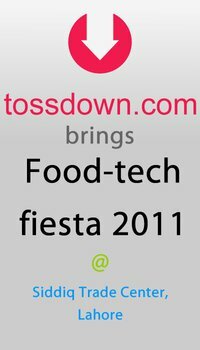 tossdown.com - Pakistan's Largest online Eatout portal which features eatouts, reviews, images, deals, maps and Privileged Cards. An Exciting and Happening Event of the year where you are going to get tired but ACTIVITIES & GIVE AWAYS won't Finish. MORE DETAILS COMING UP SOON.. Putting up a FREE stall - Food, home based bakery, NGO, ORGs can contact.